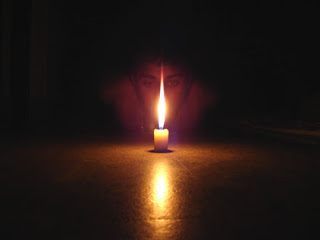 Deepam > Blog > KC initiation. We were introduced to KC centre by Basu,A senior from ANNA UNIVERSITY. Archana ran the show at this boxing centre elaborating the kids about what we were planning to do for the next one year,while she committed herself to teach the kids to work with computers,the children offered to teach her speak tamil.Archana played the ring master’s role of disciplining the kids,while kk and the others were breaking those “rules”. and the rest of us left unnamed.chandana and ravindra a young budding entreprenuer completed the bunch of 6. It was decided over the end of the session that we would not have children go home with a home work,rather we would have them come back with a thought every week.shiva suggested that we could arrange for some refreshments after the class,to keep the children coming back. As always the enthusiasm level with the kids never soared,and they did some brilliant guess work trying to figure out the multipersonality disorder with computers having different names such as desktop,laptop and palmtops. For the next 1 year, Saturdays 4.30-6.30pm will see kakkan colony colony centre bustling with activity and is open to everyone to volunteer in teaching these children the basics of computers, general awareness,english knowledge and personality development.